Toss all ingredients together adding the oil in the end. Cook on very low heat. DON’T stir at all; only toss the ingredients in the pot a few times. Cook covered until all the water evaporates. 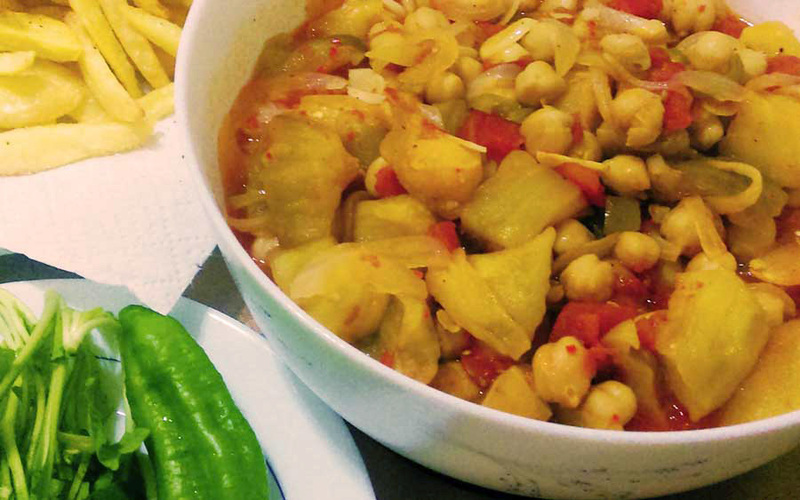 The quickest, most-delicious vegan stew you will ever cook. Prepare it as your main dish, or serve it as a warm salad alongside any dry meal. We eat this dish with our hands using pita bread. We expect to see a large plate of french fries served with this meal.